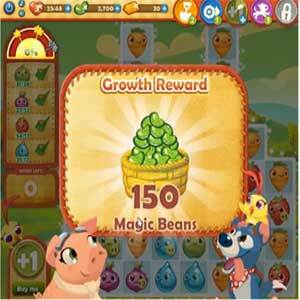 These Farm Heroes level 22 cheats and tips will help you beat level 22 of Farm Heroes. 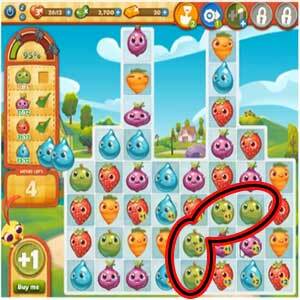 The objective of Farm Heroes level 22 is to collect 28 apples, 12 onions, 12 strawberries, and 12 water droplets in 10 moves. Start off this level by making combinations from the bottom in the center. Combine onions and green apples since their are quite a few available combination options for them at the beginning of the level. Because of the limited amount of moves in this level you can make high point crop combinations to score more points. Continue to scan the board to make sure that you are not passing up a great opportunity for a large combination. 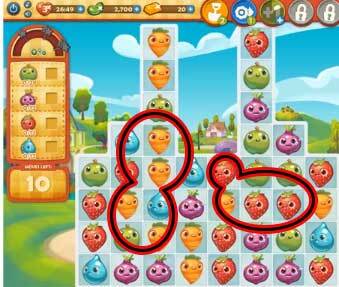 At the end of Farm Heroes Saga level 22, when you have collected all of your crops you in 10 moves or less you will then achieve maximum growth. This will instantly give you 150 magic beans, stock pile these magic beans for future Rancid the Raccoon levels.